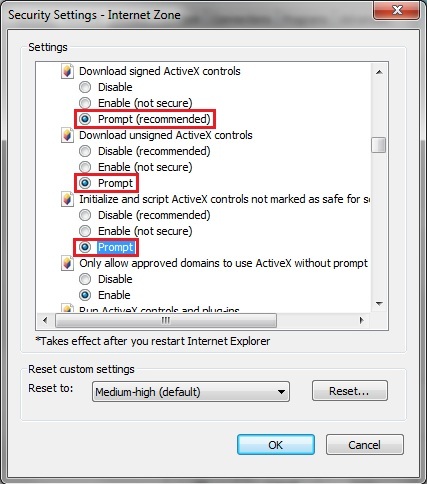 The first time you access any DVR system online (including the LiveDemo on Zmodo.com), you will need to change three ActiveX controls to "Prompt". 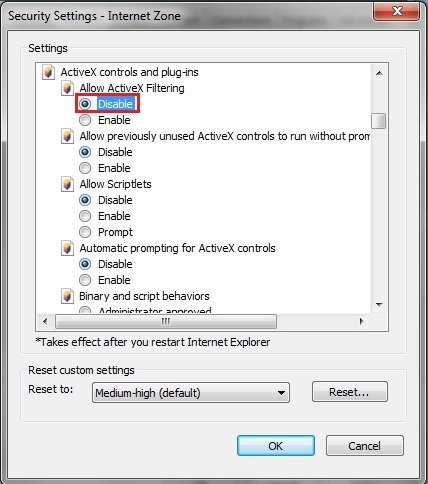 To change your ActiveX Controls, click on Tools, then select Internet Options. 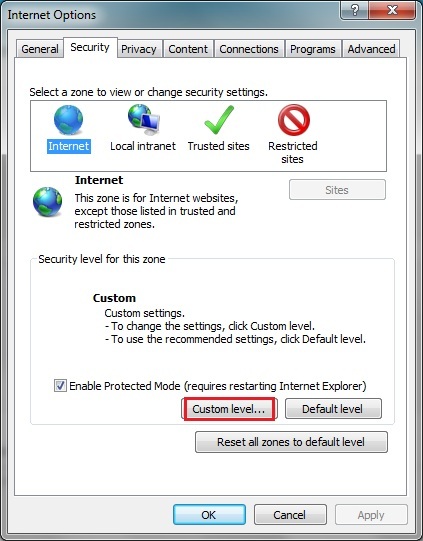 Once in the Internet Options menu, click on the Security tab. 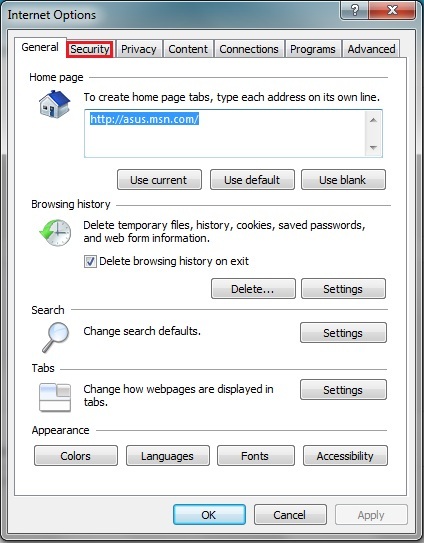 Scroll down until you see ActiveX controls and plug-ins. 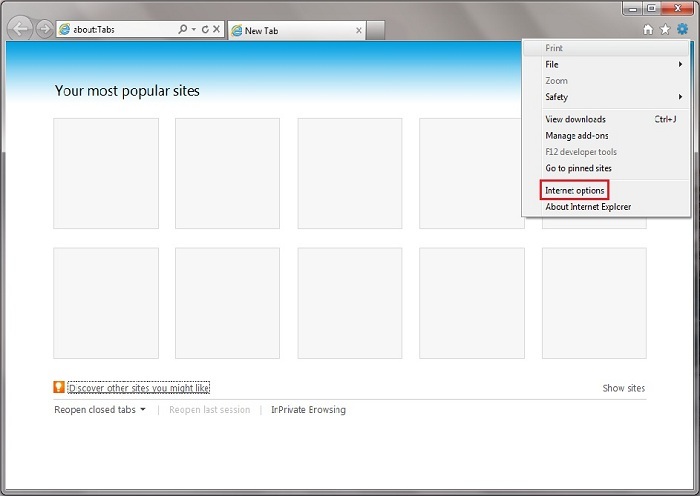 **For IE 9 users only: For the first option, Allow ActiveX filtering, select Disable. When done, click OK and exit the Security Settings menu.